The group was also initially denied permission to distribute complimentary bags to IDF reservists, but received permission hours before the fair after petitioning the university. Im Tirtzu is a Zionist non-governmental organization based in Israel. 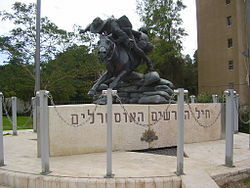 Its name is derived from an epigraph appended to the frontespiece of Theodor Herzl’s novel Altneuland, ‘if you wish it, it is no fairy-tale,’ rendered into modern Hebrew in Nahum Sokolow’s translation in 1903, as Im tirtzu ein zo agadah. Previous From Israel: Stand Against Hysteria! Next Oz Torah: Ask the Rabbi ‘Signs of the Zodiac’.